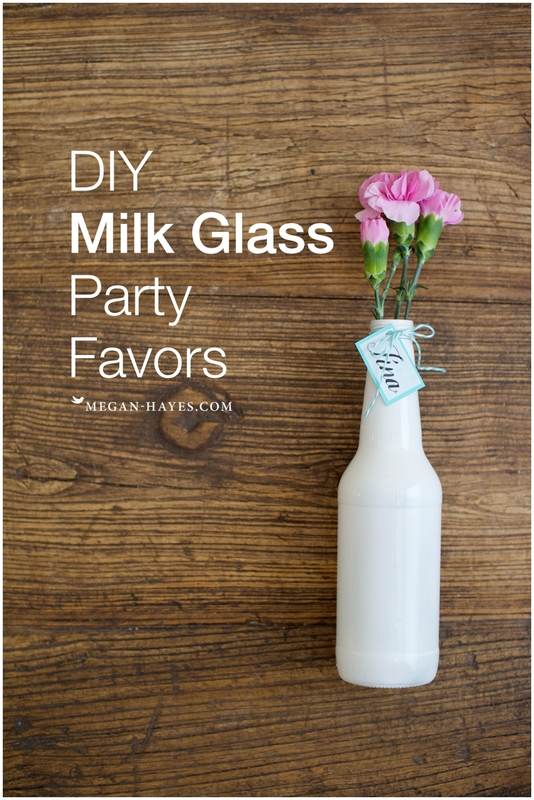 I recently made these cute Milk Glass Party Favors using empty IZZE bottles for an event at my home and thought I’d share how I did it. 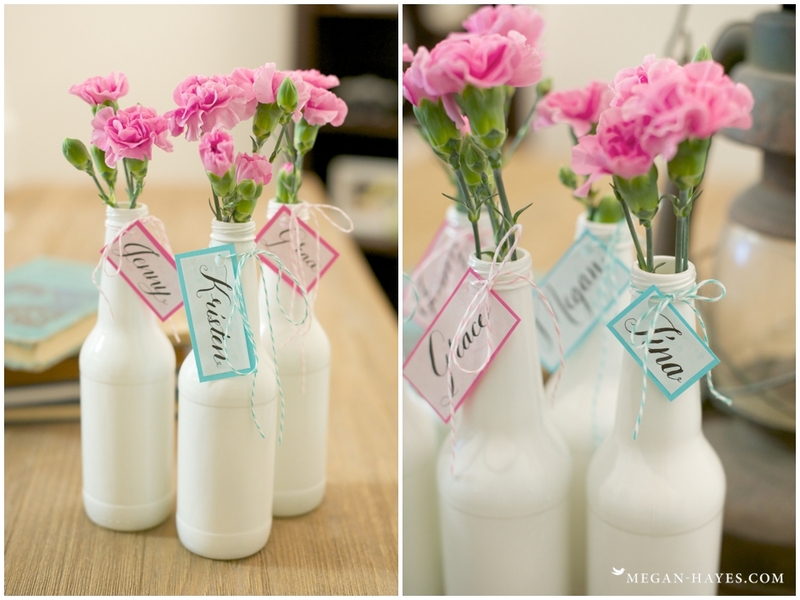 They’d make cute wedding favors too! 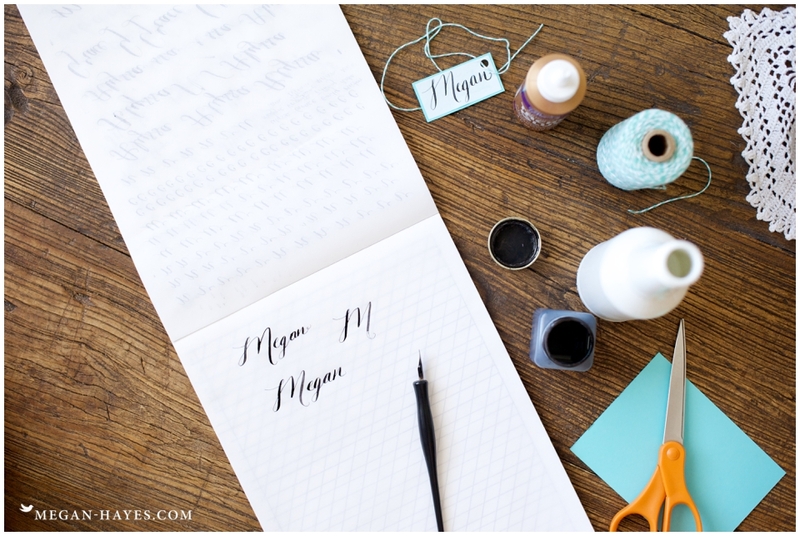 If you are interested in calligraphy I highly recommend taking Molly Jacques’ online class Introduction to the Art of Modern Calligraphy. Step 2: Spray the Goo Gone on the residue where the stickers were and let it sit for a few minutes then scrub off the sticker residue with the Scotch Brite scour pad. 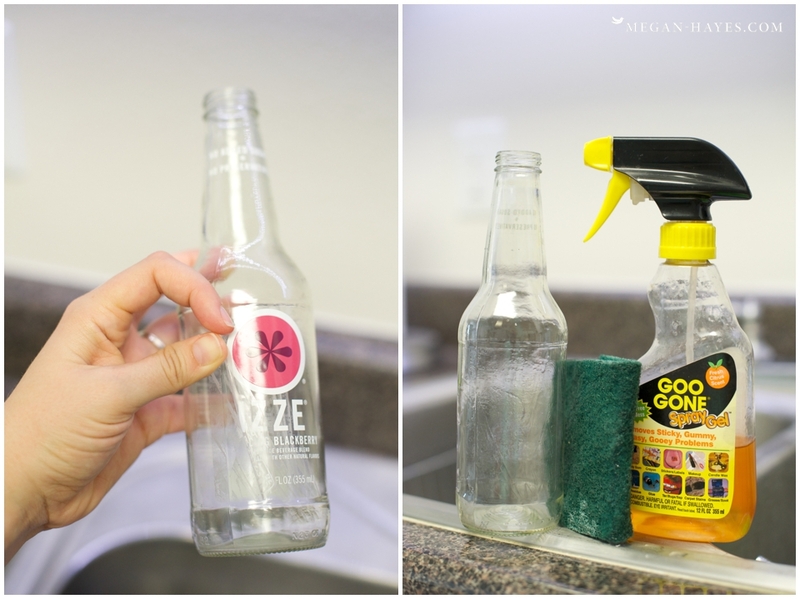 Wash the bottles with warm soapy water and dry completely. Step 3: In a well ventilated area lay dow some cardboard, set the bottles on it and begin spray painting the bottles.Two coats should do and I sprayed slightly inside the lip of the bottle as well. 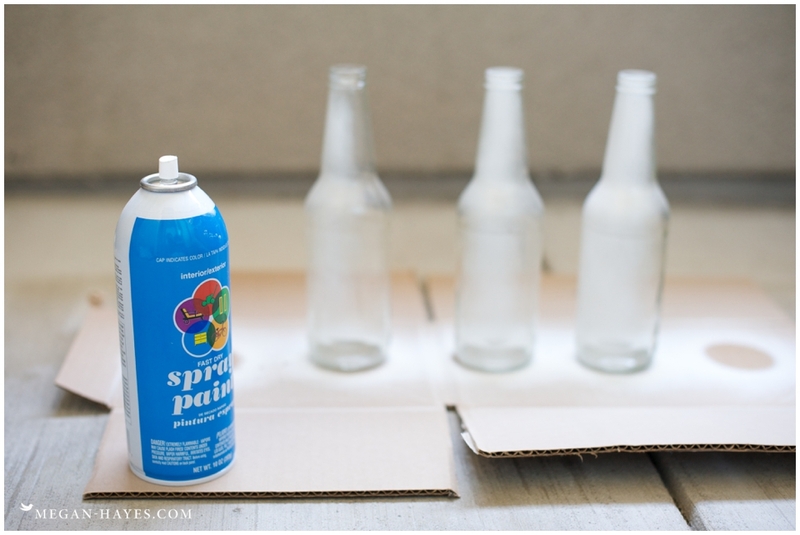 Step 4: Let bottles dry completely for the recommended time on the spray can. 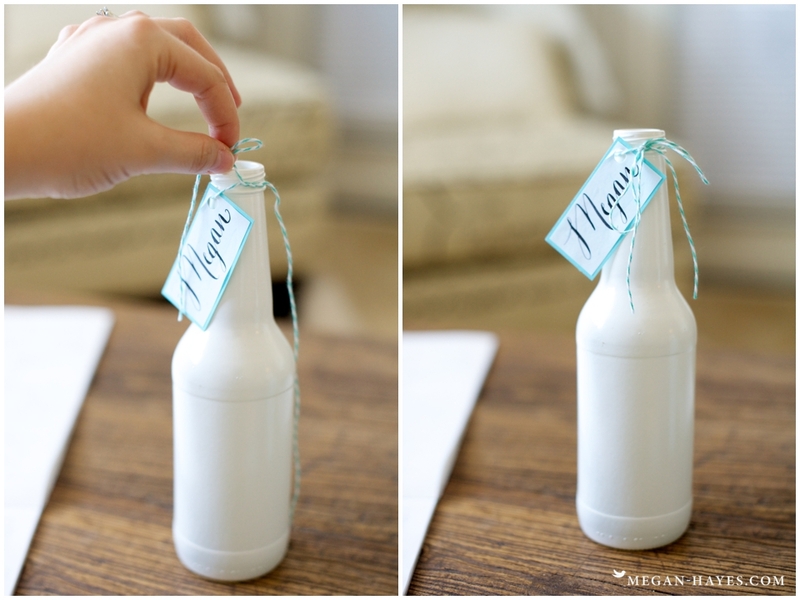 Step 5: Decorate your bottle as you like . 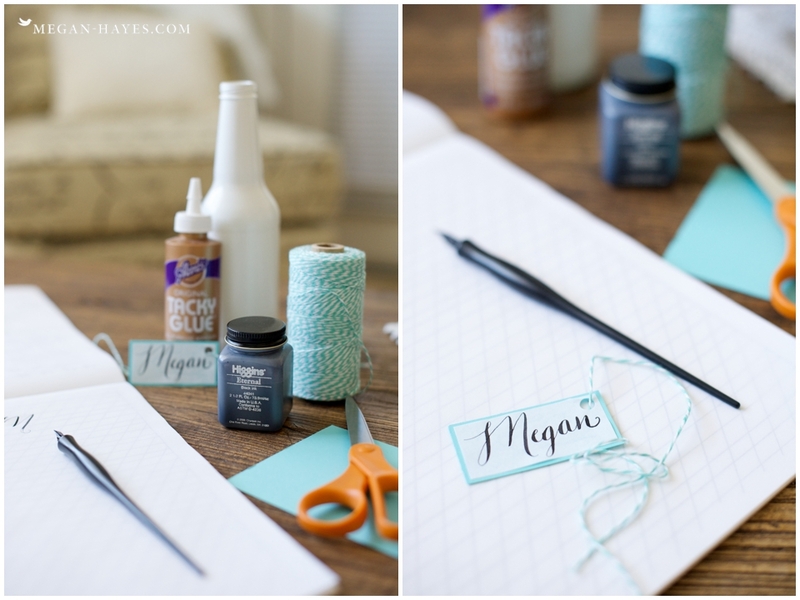 I used some cute bakers twine, made a name tag and added a flower to the bottle. 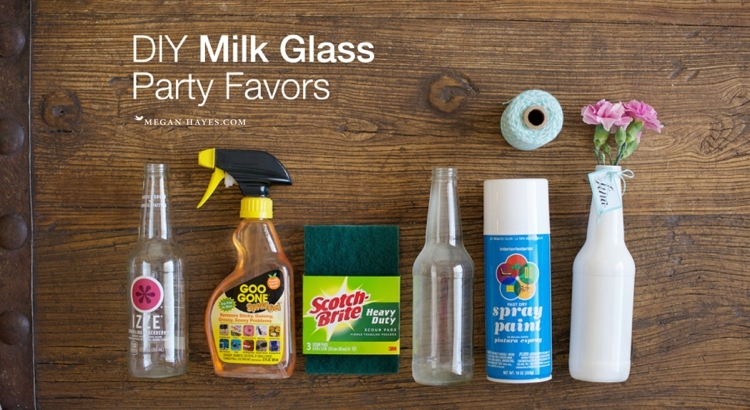 Hope you enjoyed this DIY post on how to make Milk Glass Party Favors!